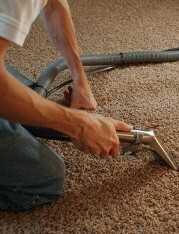 Count on Able Carpet Repair for carpet consulting and inspection assistance in Jacksonville, Florida. Owner James A. Ryan learned the carpeting trade through on-the-job training. Starting out at 17, he trained with a professional. This is the best way to learn carpet repair. Many years of carpet installation have given us the expertise to help people understand what looks the best and wears for the longest when it comes to carpet. We advise customers on wear and tear. Always wear socks or shoes on carpet because the oil in your feet mattes carpet down. Cooking oil can also waft in the air also creates matting. Different kinds of carpet pad should be used in different venues. Do you feel you have been unfairly judged by inspectors or insurance companies? Call us for private commercial and residential carpet inspections. We’ll find out who’s right and who’s wrong. This is not just an opinion but solid proof of your claim. If there’s no proof, there is no charge.